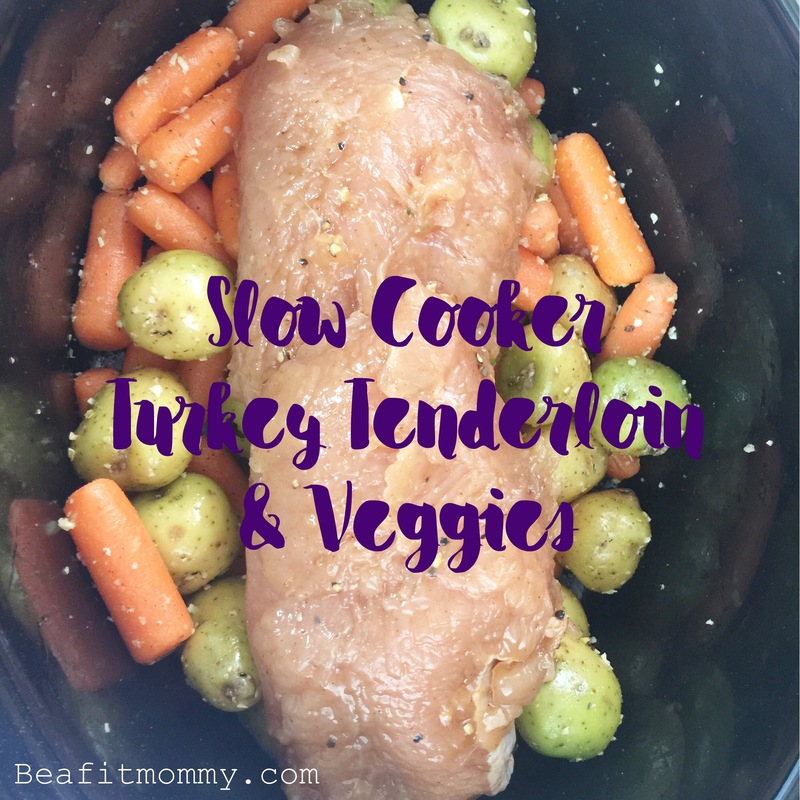 Need a easy fancy holiday or Sunday dinner? This is it! 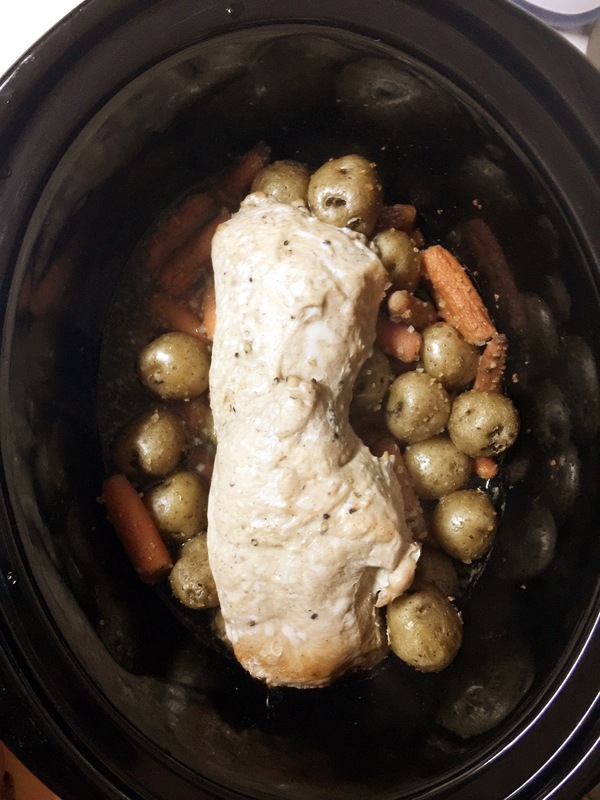 My whole family loves this Slow Cooked Turkey Tenderloin. The turkey comes out so moist and tender! I seriously spend about 5 minutes putting this meal together. I am one for spending less time in the kitchen making dinner, but still having a delicious and healthy dinner for my family. 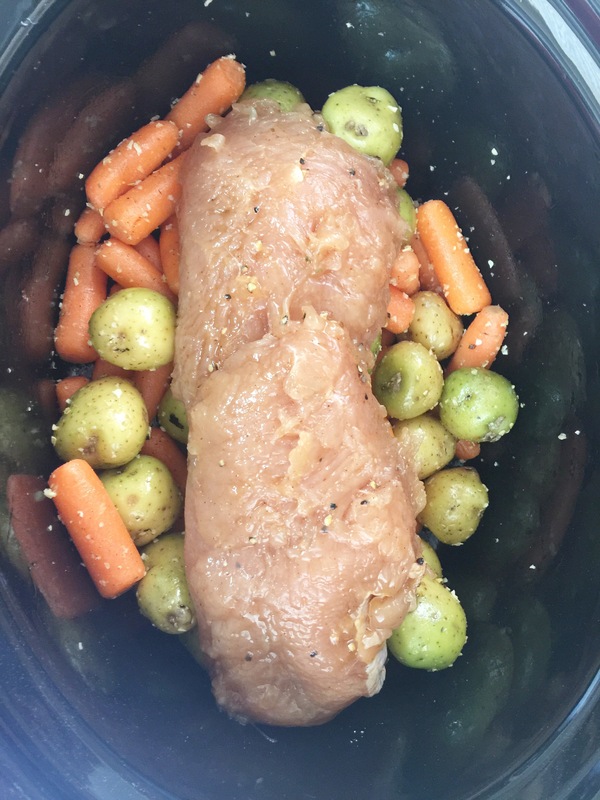 I love whipping this up in the morning and eliminate a lot of stress when dinner time comes. Then you can focus on tossing a salad (or put your feet up). 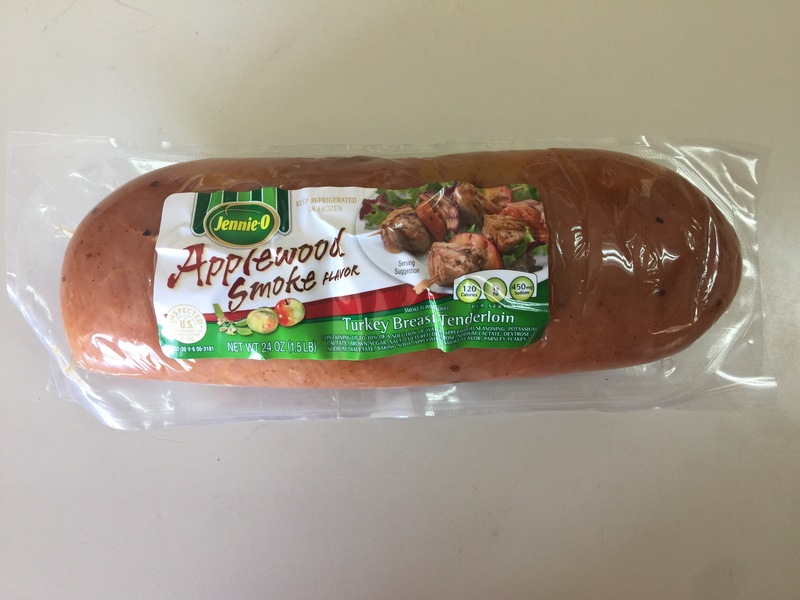 I love this apple-wood smoke flavored tenderloin. It has AWESOME flavor. Toss the veggies in and mix in the seasonings, then top with the turkey. That is it!